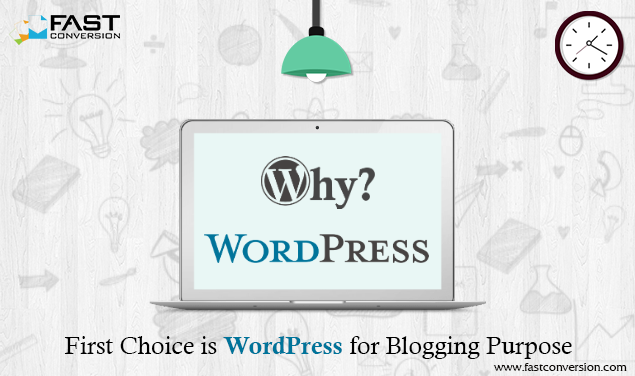 WordPress has become the inspiration of all technical innovations in the gadget world. It accounts for more than 24% of the web and is used widely for applications, websites, blogs and web portals for its dynamic built-in features. 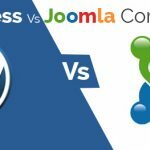 WordPress is useful for both users and developers for its simplistic yet complex implementations of software. Moreover, newbie startups and rising companies can keep PSD handy for a future PSD to WordPress conversion that can enhance the site’s performance up to 100%. The features below add up to the dynamic brownie points of WordPress and why more and more people are using it in this new age. Bloggers can own their site, have complete control over it and that is what makes it more useful to them. WordPress today accounts for more than 60 million users online. Informal User-friendliness: WordPress is easy to use and lets you to publish content online without any hassle. It is designed in such a way that it can be installed easily and beautified with themes. However, one needs to take a developer’s help in WordPress Theme Customization in order to manage a paid theme. Budget-friendly CMS: As a powerful CMS, WordPress is committed to give you variable options that are easily manageable. Unlike other CMS, WordPress is budget-friendly for businesses. Anyone can publish: You don’t need any technical expertise to publish a content online. Its back end panel for content posting is smooth, what you need is to create a post and start publishing. WordPress offers a variety of plugins to choose from. It can also connect your published material to emails for a faster response from targeted audience. Schedule posts whenever you want: As a site author, you can revise, re-write, create drafts, privatize or publicize your content according to your needs. In addition to that, you can even schedule multiple or single posts on a specific time and date in advance. Creating a Visual Treat: Pictures are one of the most important ingredients to create a visual memory for the visitor. WordPress lets you drag and drop through the upload option and transfer video files, images with ease. The image editing tool comes in handy when you don’t have an uploaded Photoshop in your computer to edit. Social Media Integration: With the advent of social media, around 95% ecommerce stores have been benefited due to their customer reaching effects in just few clicks. No one has ever guaranteed sales through social media using WordPress but one can definitely add value to their marketing techniques and initiate better customer engagement that leads to brand loyalty. Effective Themes: WordPress is well-known for over 1000 beautiful and effective themes to choose from. There are numerous websites who are giving away WordPress themes like a free Christmas gift and additionally one can install their own theme too! PSD to WordPress Conversion: Due to an availability of plenty of free as well as paid themes, people still embark on a professional PSD to WordPress Conversion through a developer as it renders an all-time benefit of using plug-in attributes & templates. Its feather-touch work pleases you as you can download and manage your web-content with ease. WordPress is a good friend of search-engine that makes it a ‘must-have’ CMS for your business. It’s Plug N Play! The most important plugins that you can add are: Social networking, complex galleries, social media widgets, forums, and calendars, spam protection, forms & fine-tune controls for SEO. Custom WordPress Plugin Development saves your time of coding and grooms your website for better performance. Built-in Comments: The comment section lets your friends and dear ones to express their views on the topic you just posted as a blogger. This lets you gather feedback from valuable sources and engage with the audience directly on the topic. Write in your Native Language! Yes! You can now choose from 70 different languages and get your content posted in your native language. For English users, the criteria is juts to click on English option. Apart from these amazing features, a blogger can attract and keep viewers just in a jiffy due to the community feature of WordPress. They can create and maintain a community just like Starbucks or Apple. Nobody needs a tutorial of how to access a social networking site and use it to their advantage today. They use Instagram widget to their advantage and build a powerful network. Along with the points mentioned above, a blogger is always ambitious to get ahead of the crowd, to have a voice of their own. WordPress supports just that.